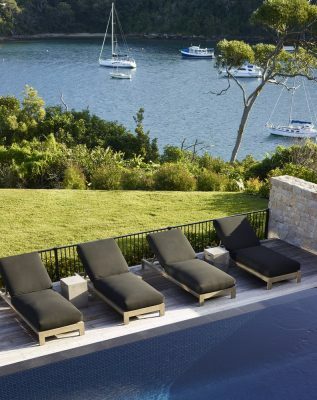 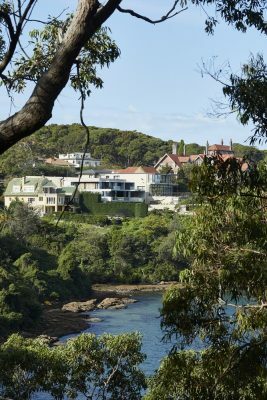 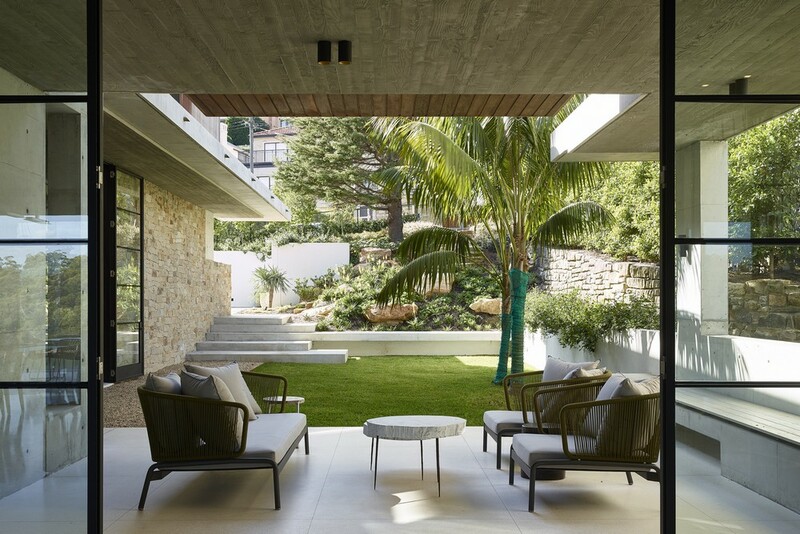 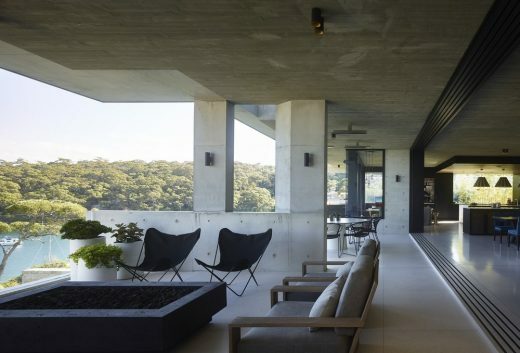 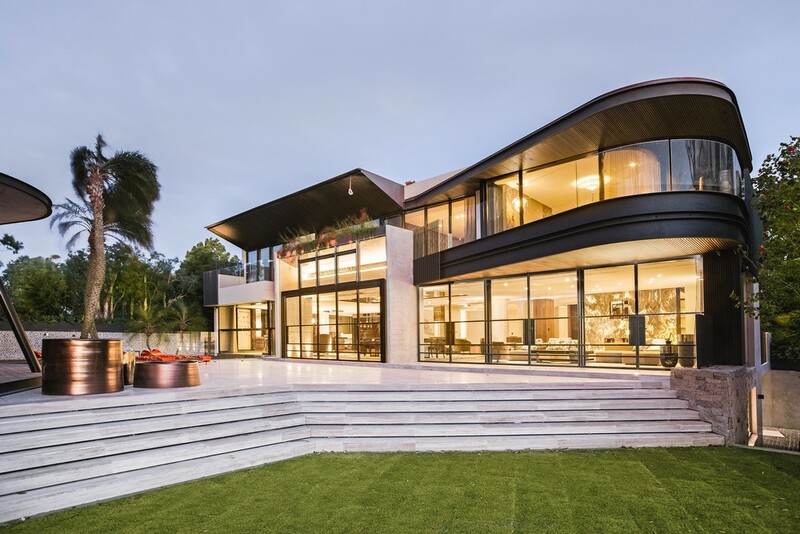 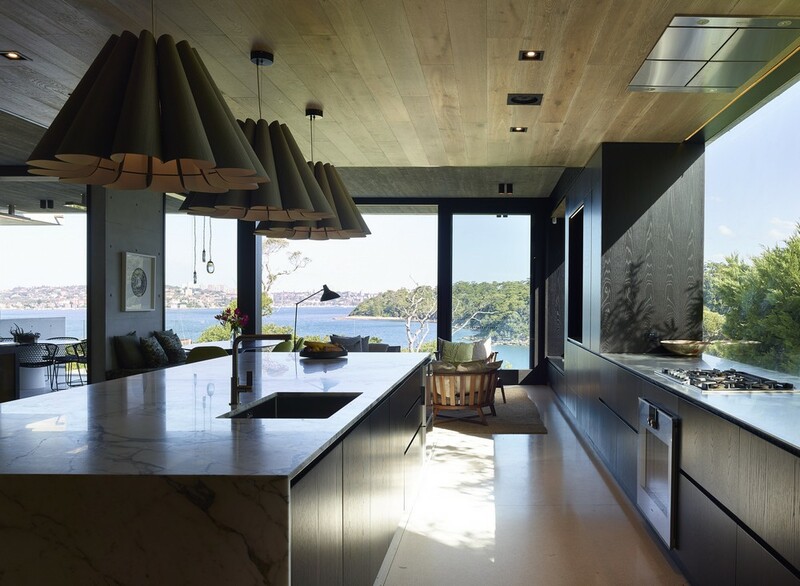 Taylors Bay House also know as the Mosman House is a ‘Brazilian Modern’ inspired home perched on Sydney Harbour overlooking Taylors Bay. 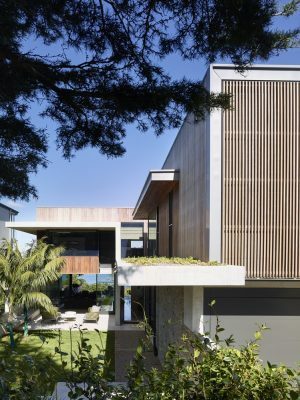 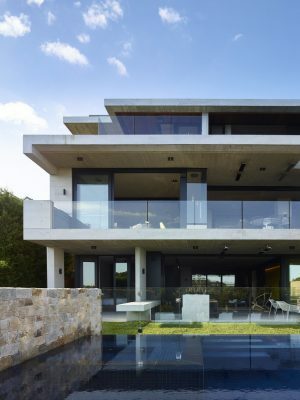 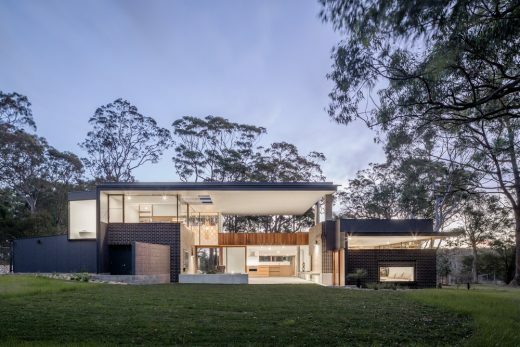 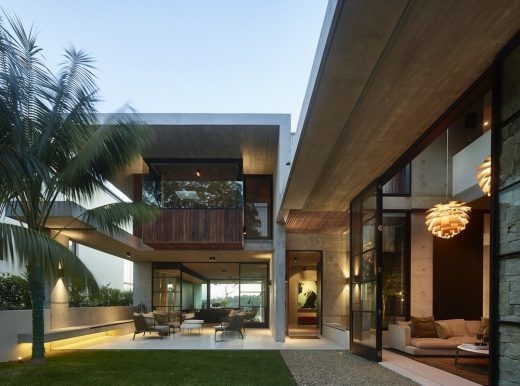 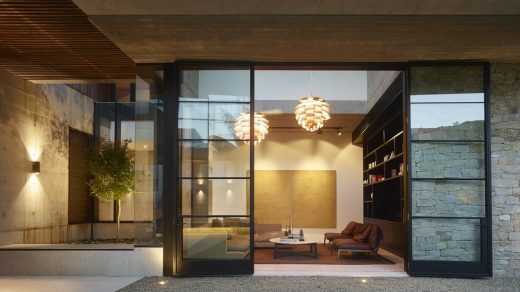 The house mediates between grounded courtyard living on the north and a dramatically cantilevered edge that addresses the enviable water views to the south. 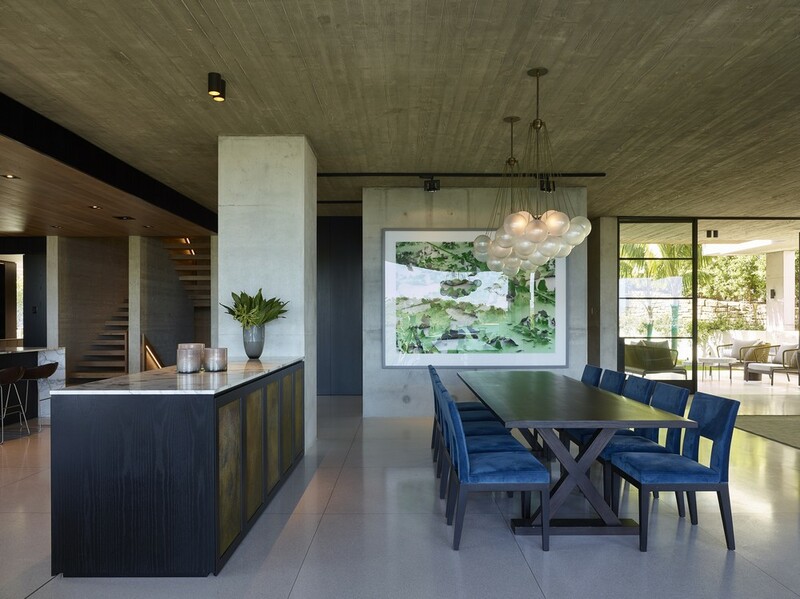 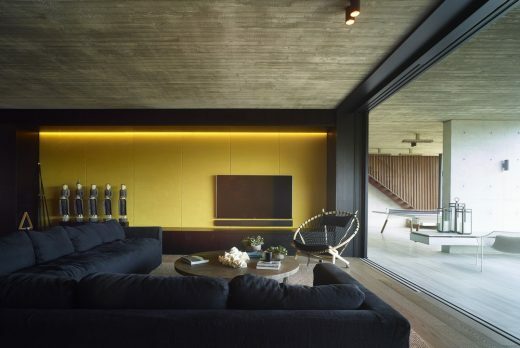 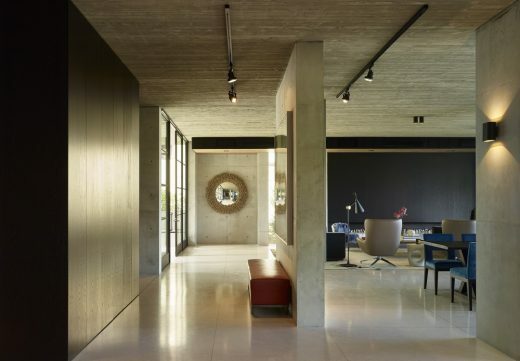 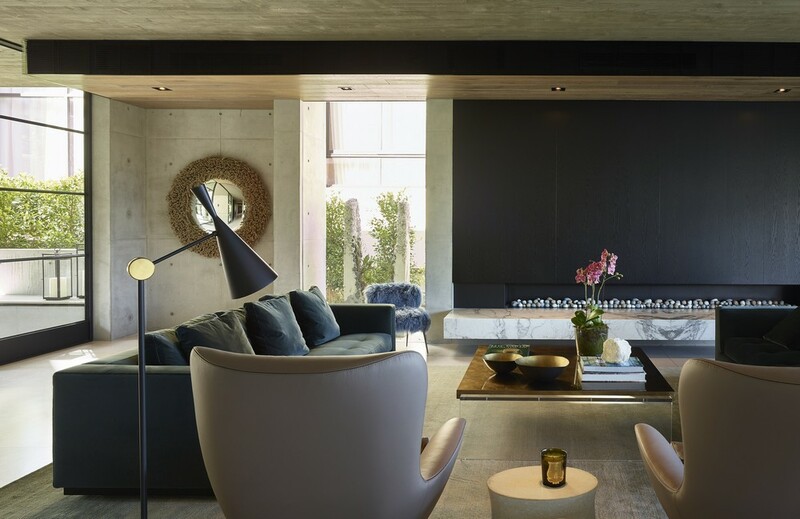 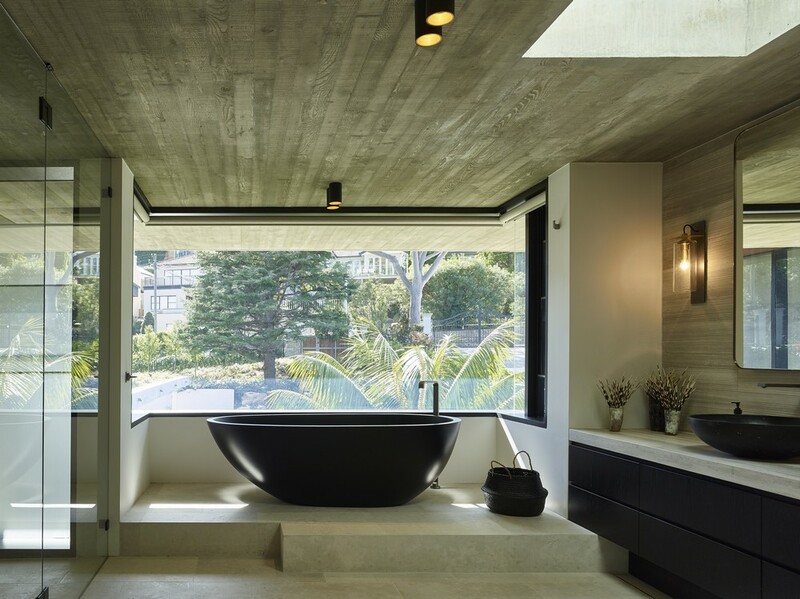 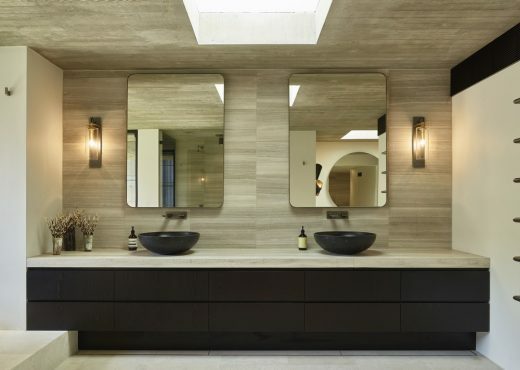 A textured and honest palette of concrete, stone, timber and steel creates a timeless and robust backdrop to the interiors, exquisitely executed by Justine Hugh-Jones, as well as the landscape, masterfully curated by William Dangar. The architecture juxtaposes ideas of solidity and intimacy, with lightness and extroversion, all beautifully crafted by the hand of County Constructions for our generous and supportive clients.